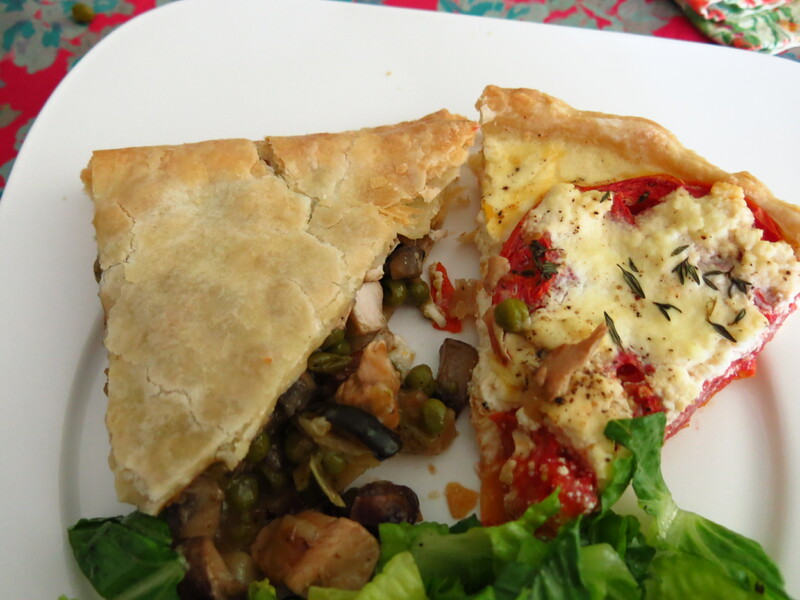 The last challenges of the Pie episode was to make a multi-tiered pie. So kind of like a wedding cake…but with pies, haha. Immediately I knew I wanted to riff off the concept of a 3 course meal: appetizer, main, and dessert. The competitors on the show did more “variations” of a pie – so three different kind of pork pies, etc. And their pies were EPIC. Like they looked solid bricks of meat & pastry. Mine were much more delicate. I guess it goes back to cultural differences in how we view “pie”. 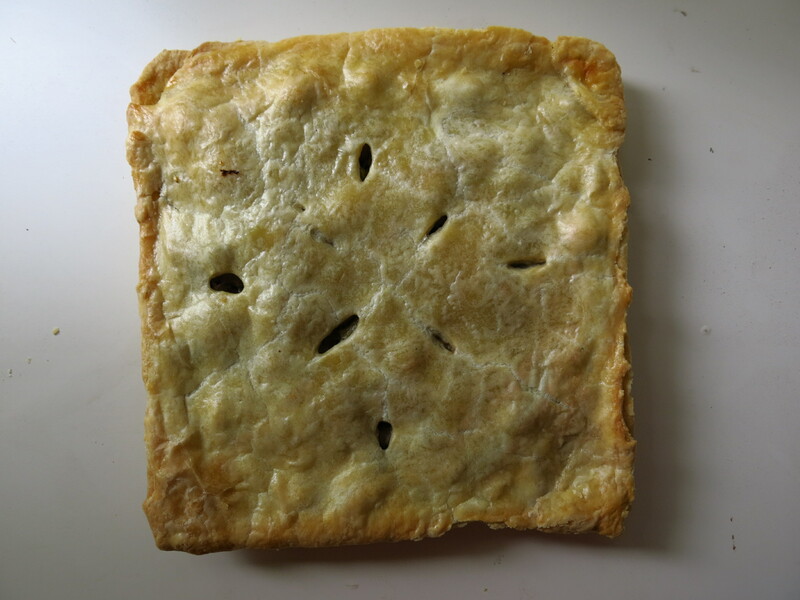 I see pies as being sweet – like apple pies, etc. 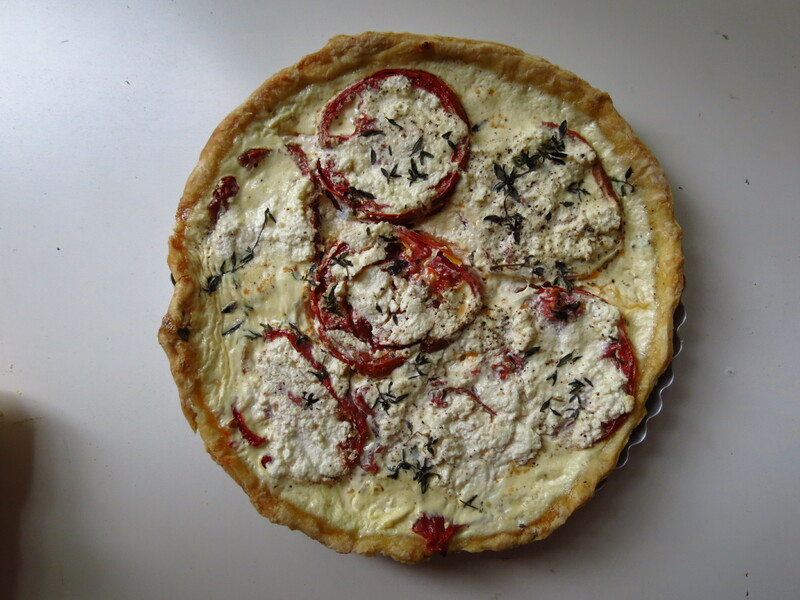 Anything savory I associate with quiches and tarts, which are much more delicate looking. 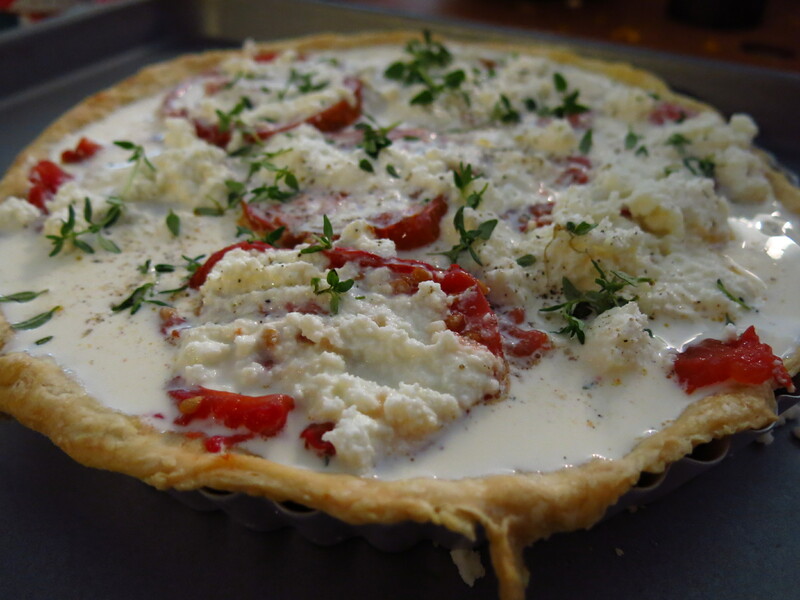 I decided to go with three different kinds of tarts: ricotta & tomato, chicken, and chocolate. Don’t worry – it wasn’t all in the same pie! This was actually a pretty complicated recipe in that there were so many steps. Make pie crust. Roast tomatoes. Make custard. 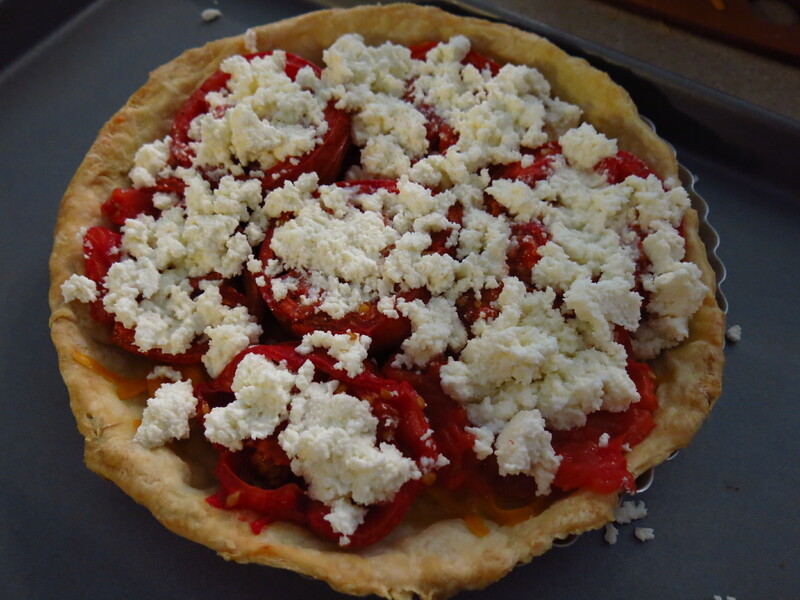 So once you’ve made the pie crust and blind baked it, you scatter some cheese on the bottom and then layer the tomatoes on top. You then spoon some ricotta on top and fill the rest of the pie with a custard cream mix. I didn’t use enough eggs so it didn’t set quite as well as I would have liked. 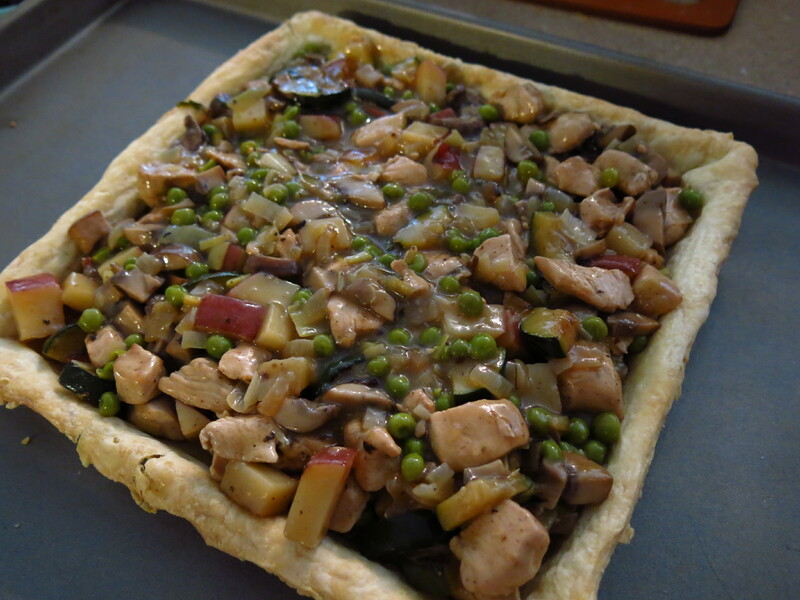 So this was my twist on a chicken pot pie. 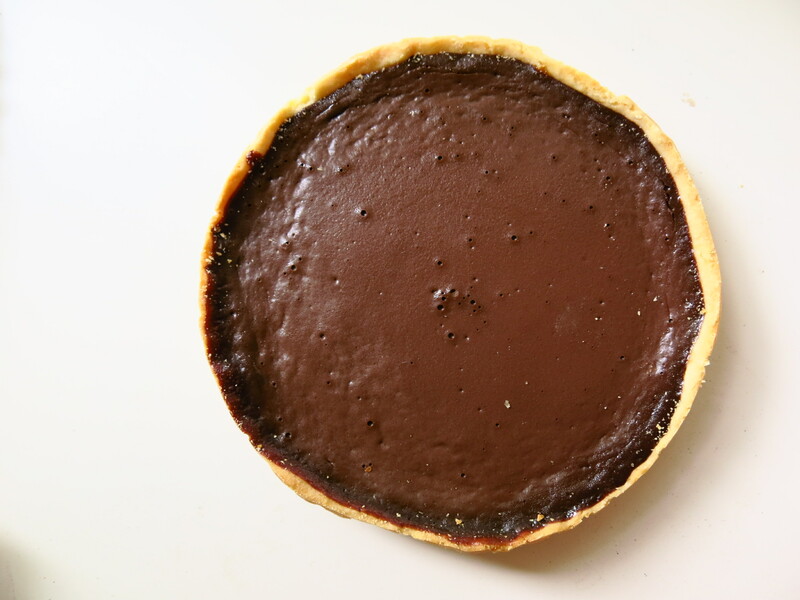 Instead of a traditional pie shape, I made it in a tart pan with a top layer. Super basic filling: chicken, mushrooms, potatoes, onions, carrots. 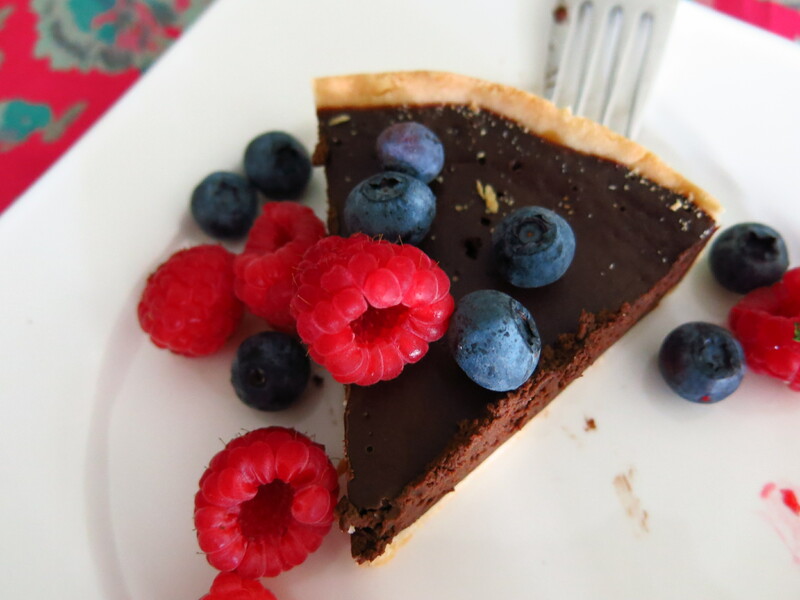 Next up – European Desserts!